The Transformer Monitoring Solution monitors the Current (Up to 600A), Voltage (Up to 440V), Power Factor and various other power parameters in single phase and 3 phase systems. Providing inputs on Total Distortion, Voltage Sag and Swell, the solution aims to monitor the health of Distribution Transformer Units and Power Distribution Systems. Built with a modular software architecture, the Solution comes with many valuable features like easy Device configuration, setting of thresholds for Alerts, Self diagnostics and LED status for all critical operations. The Transformer Monitoring Solution is based on NXP Semiconductors’ Ultra Low power Kinetis ARM Cortex Controller. 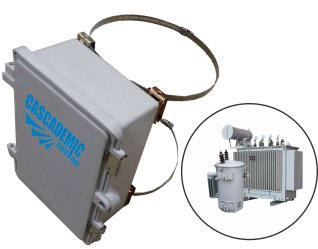 CASCADEMIC's Transformer Monitoring Solution aims to improve energy efficiency. The Solution can measure Power Quality parameters including power frequency, supply voltage unbalance, magnitude of supply voltage, voltage and current harmonics, flicker, interharmonics, supply voltage dips and swells, rapid voltage changes, voltage interruptions, mains signalling, transient voltages. For Distribution Transformers, the PQ Monitoring Solution comes with sensors for non-intrusive sensing of DT Current and wired option for DT Voltage (Secondary) and allows continuous monitoring of the parameters. The solution is also easily expandable from single phase to 3 phase with no change in internal architecture. 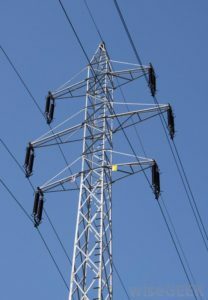 For 3 phase, setting is available for Y or Delta connection. Notifications & Alerts are provided based on settings.